Main street is often viewed as the heart of the community. Where people come together, where dreams are formed, and where plans are put into action. Main street might change over time, but its purpose remains… TO INSPIRE PROSPERITY AMONG ITS RESIDENTS. Mainstreet Bank was founded to help fuel people’s dreams. Firmly rooted in agriculture and serving Southeast Nebraska for more than 125 years, Mainstreet Bank is commited to combining traditional work ethic with a progressive spirit to remain a stable and reliable presence in the communities where we live and work. 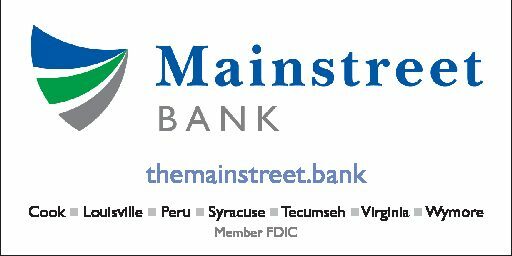 Independent and family owned for more than 100 years, Mainstreet Bank has evolved with each generation, serving with honesty and a genuine concern for the success of our customers and communities. Our steady growth is made possible by a dedicated team of professionals empowered to lead our customers to success. We listen first, then equip each individual, family and business with the information and guidance needed to make financial decisions that put them on a direct path to their goals. We serve with integrity, kindness and respect. That is why we are able to grow our services and adopt new technologies that further support the immediate needs and long-term goals of our customers. We believe that when our customers succeed, it filters down to our communities, creating confidence and opportunities for economic growth. We see it as our responsibility to utilize our rich history and knowledge in financial services to help local businesses, farms and families remain successful. By upholding these core beliefs, financial services to help local businesses, farm and families remain successful. By upholding these core beliefs, Mainstreet Bank will continue to give our communities greater hope for the future for generations to come. Mon. thru Fri. 8:30 a.m. – 4:30 p.m. Sat. 8:30 a.m. – 12:00 p.m.